This lightweight, strong, spacious carry-all is designed to help you organize & carry many items in the bag on your shoulder. It is 16-17 inches wide, 13 inches deep with a 15-17 inch shoulder drop. A 1 inch large coconut button with loop closure helps to secure your belongings & eliminate frustration with a broken zip. It's an all in one bag, which means the straps are not cut separately. See images above. It comes in a tan/black abstract print color and plain black on the reverse side. 2 bags for the price of 1. Material used is poly/cotton. 2 pockets are 8 inches wide, 7inch deep with a small key loop on side of each pocket. Made in Australia it makes an excellent gift for a woman or man. Only a Limited number available. Order yours today.
. Lightweight, strong, roomy, foldable is great for traveling, shopping, work or everyday use. Fits easily in a glove box, backpack or suitcase.
. One wide shoulder strap for comfort & ease to carry & keep hands free. 2 pockets for organized & easy access to smaller items. 1 pocket inside & 1 outside the bag.
. Reversible, reusable & washable helps keep it long- lasting & fresh-looking for years. Saves money with 2-in-1 choice & our planet Earth from plastic bags.
. Designed & handcrafted by experienced women home sewers to help meet the needs of women, who desire a quality, handmade product.
. 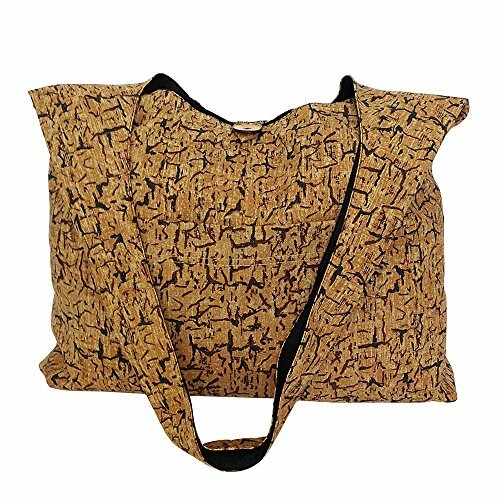 Perfect gift for women who would love to own & use this stylish & practical bag, wherever they go. If you have any questions about this product by StitchandMend, contact us by completing and submitting the form below. If you are looking for a specif part number, please include it with your message.